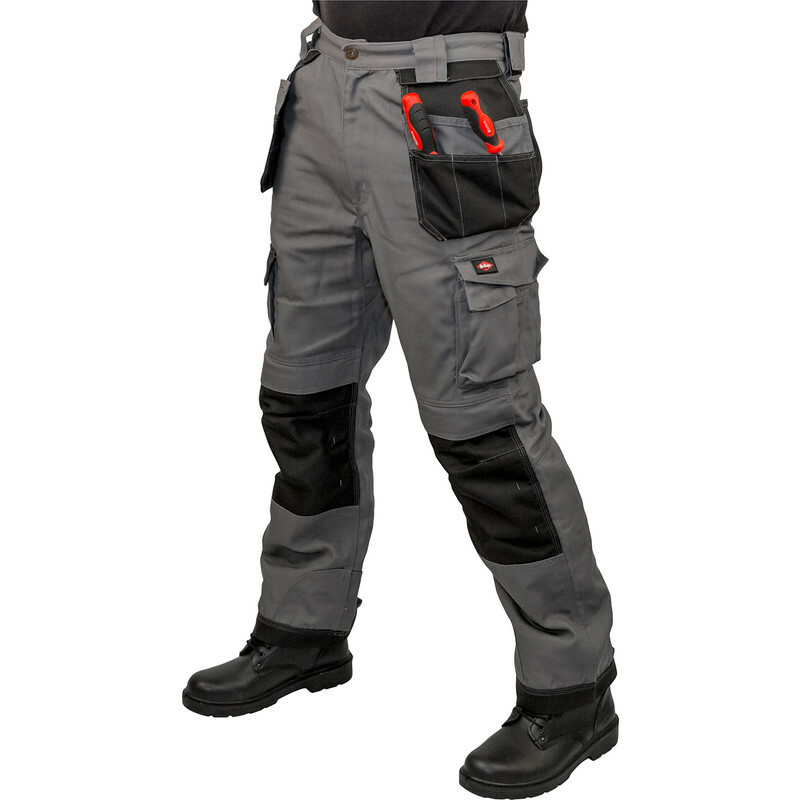 Lee Cooper 210 Heavy Duty Holster Pocket Trousers 36" R Grey/Black is rated 4.0 out of 5 by 11. Rated 5 out of 5 by Rusty549 from Great item Bought for my husband. Good fit and design. Rated 5 out of 5 by Yiihs from Superb Bought at least 10 pairs over the years. Good quality and quick delivery. Rated 4 out of 5 by HiFiPerv from So far so good except First day of wearing them today and so far so good, they are comfortable and seem well made with loads of pockets the only problem I have come across is the front flappy pockets zip on and off and I very nearly lost one of them today including its contents! No idea why you would want to be able to remove them so I'll be getting the sewing kit out later. Other than that they seem really good. Rated 5 out of 5 by Anonymous from Very strong, Comfortable work trousers. Purchased these after wearing similar (standard) cargo trousers from Lee Cooper over the past 10 years. I wanted something a bit more hardwearing and these have proved to be a very good purchase. The construction is a much better design than the standard ones,and the extra pockets are brilliant. I always thought I would remove the zip-off pockets, but they are just so useful. I have always been happy with standard Lee Cooper cargo trousers, but I always used to tear the crotch stitching open when climbing around on site. These Premium ones are much stronger and I don't think they will tear. The fabric is actually cut differently, removing the weak point. I'm so pleased I have already bought a few more pairs. The material is very comfortable and dries quickly after washing. The pockets which hold the (optional) knee pads are more sensible too; the knee pads slip in from the top (under a flap secured with Velcro) so they really are a better design than the standard trousers. My job often involves crawling around inside stripped-down aircraft so the knee pads are a welcome addition on some jobs. All in all a worthwhile investment which I am happy to recommend.